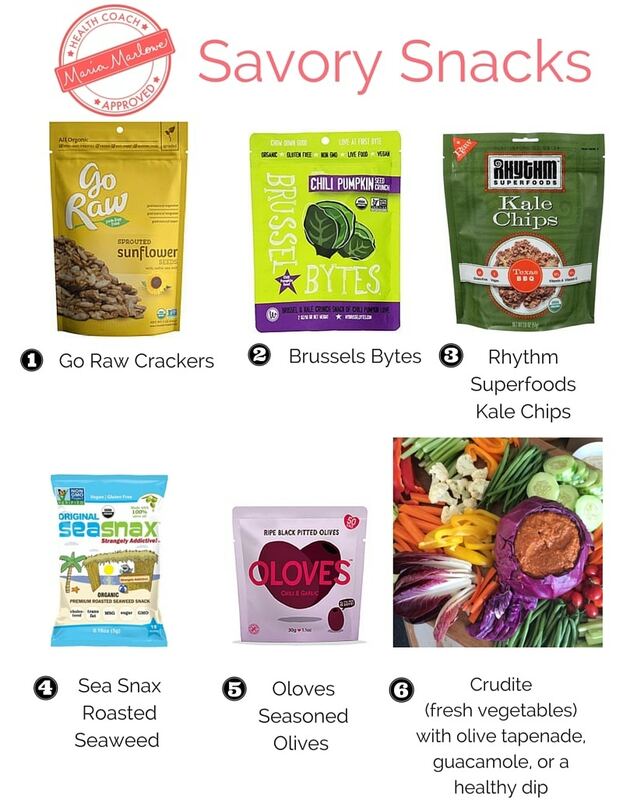 Here are some of my favorite healthy snacks and brand recommendations. 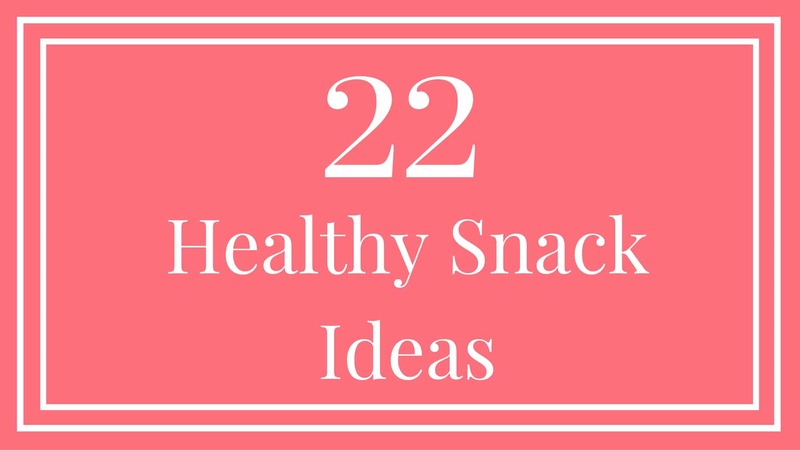 Whether you’re in the mood for something sweet, salty, crunchy, or creamy, this list has you covered with a variety of healthy snacks. 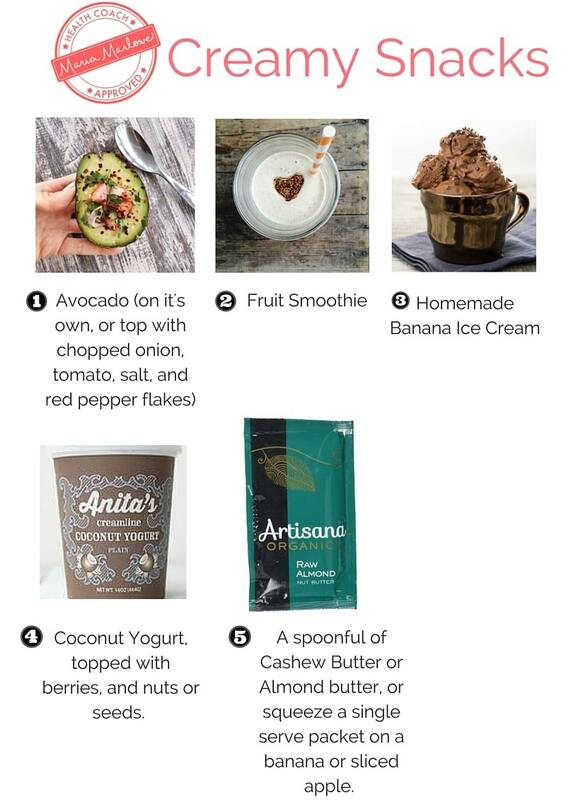 If you can’t find any of these products in your local grocer or health food store, have no fear, you can find most of them online at ThriveMarket.com, and for a fraction of the price you’d pay at a local store anyway. (For my review of Thrive Market, and my calculation of how it’s saving me upwards of $1,500 annually, check out my review). Was this post helpful? 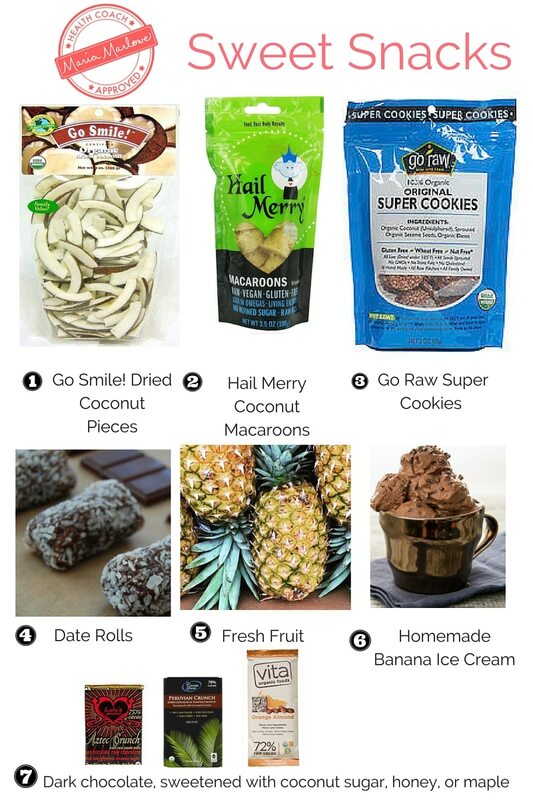 If so you’d probably love my Ultimate Grocery Store Guide, which gives you specific recommendations just like this for hundreds of products (from bread and beverages to protein powder and sweeteners). You’ll also learn how to choose the best tasting produce and the highest quality meat and fish, and much much more! If you know someone who would benefit from this post, please share! LOVE THIS MARIA! Could you also comment on Chia? 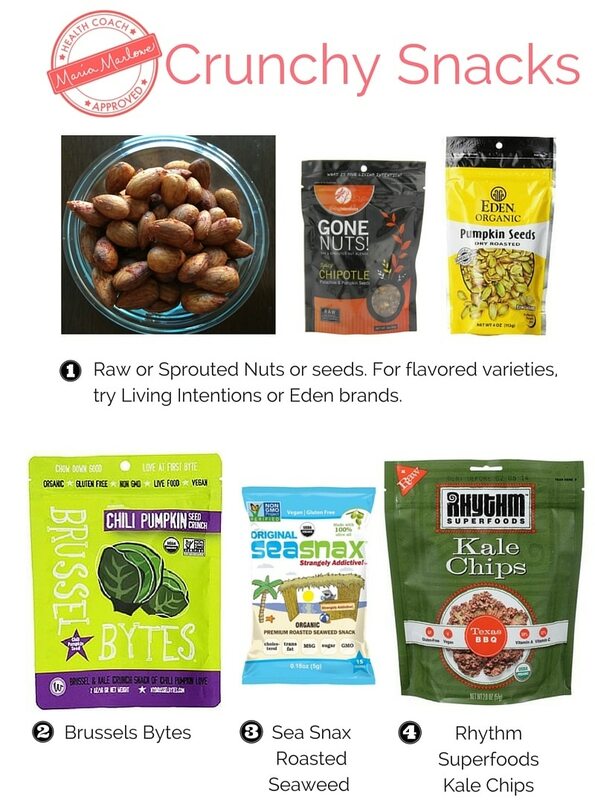 I’ve seen a lot of new Chia based snacks recently and it seems to have lots of benefits. I’ve personally tried Chia Bars and really liked them. Hi Kian! So glad you found this useful! Yes, I love chia, it’s loaded with fiber, protein, and anti-inflammatory omega-3s. I generally like to soak it before I use it, as I find it is more satiating that way, but it’s great in bars, too! Great selection of snacks. Any tips for the home-made banana ice-cream?